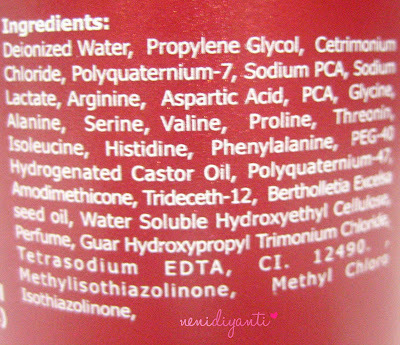 A shampoo isn't complete without a conditioner as its partner. That's why I also using this MAKARIZO MK3 Color Revive - Gel Conditioner, paired with MAKARIZO MK3 Color Revive - Regular Treatment Shampoo. 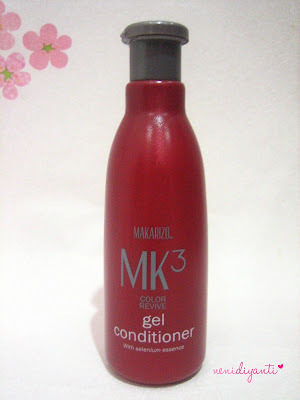 By the way, I'm not gonna say this is a product review, instead I will say this is my first impression about MAKARIZO MK3 Color Revive Series Gel Conditioner. 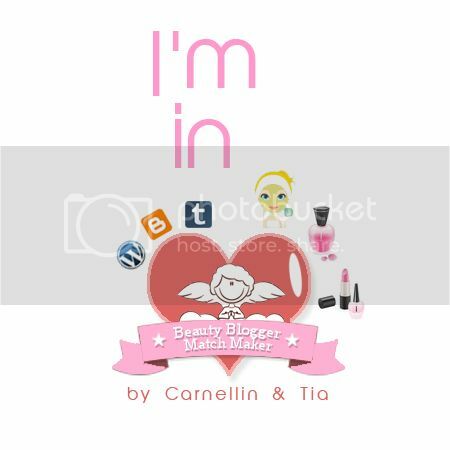 I only have a week to write some postings as entries for MAKARIZO Beauty Blog Competition. 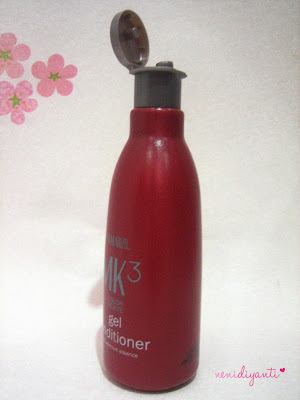 I don't think a week using MAKARIZO MK3 Color Revive Series Gel Conditioner is enough to write a reliable review about this product. Like the shampoo, this conditioner also comes in red maroon bottle with 300 ml volume. 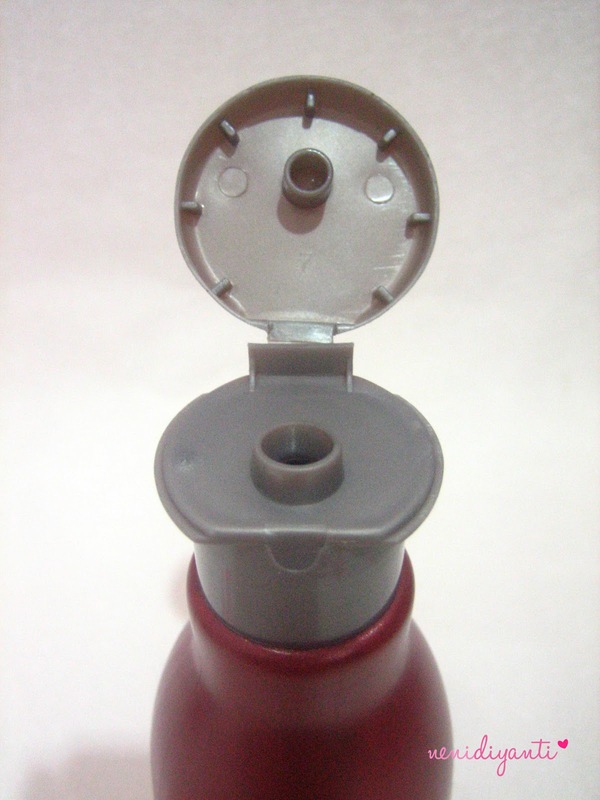 It also made with flip up cover (which make it easier to use) and comes in plastic bottle. The conditioner itself has white colored liquid, meanwhile the shampoo has transparent liquid. Both shampoo and conditioner have same fragrance, which is more likely to natural herbs smell with small percentage of sweet perfume for me. 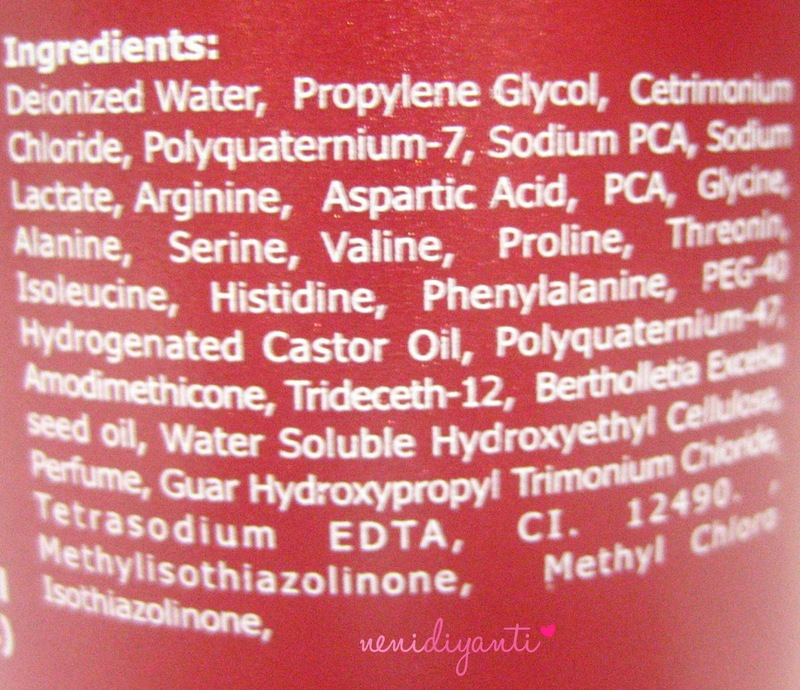 After using this conditioner for three times, I feel my hair becomes softer and smooth, also tangle-free. But the effect will gone on the next day. My hair tip back to dry condition. But hey, I'm just using this product for three times so the result gonna be different after I empty a bottle of this conditioner :) I'll update my review about it soon.